Pi-XPlane-FMC-CDU Finally Working with Zibo 737 ! | Life, The Universe and ... Everything! Pi-XPlane-FMC-CDU Finally Working with Zibo 737 ! Finally ... after a long hard battle ... my Pi-Xplane-FMC-CDU is now working with the Zibo 737. You will need to upgrade your ExtPlane plugin and also the software on the Pi FMC. You should have already got your Pi FMC software running using the instructions in my earlier post here: http://blog.shahada.abubakar.net/post/installing-pixplanefmccdu-software. In the latest version, I've removed the hacks and workarounds I had implemented earlier to try and get ExtPlane working with Zibo. 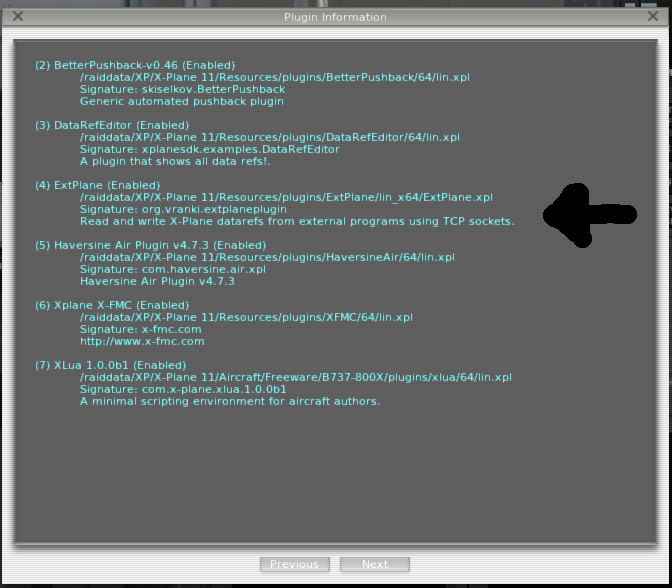 Now it communicates purely with the ExtPlane plugin. 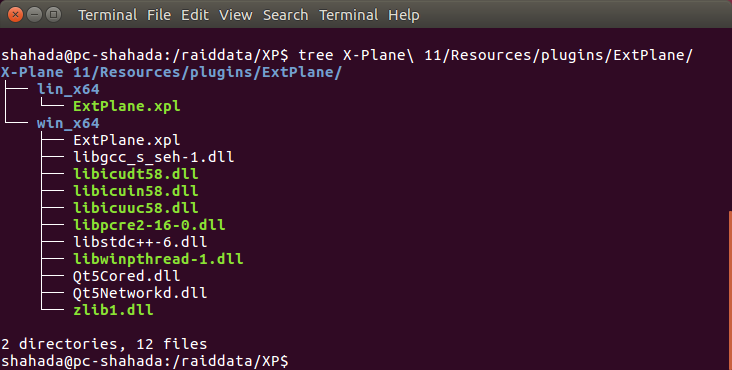 I've also split off the extplane communications into a separate shared library. The new version also has support for the first-officer's side of the CDU -- when connecting to the sim, ZIB0 selects the captain's and the ZIB1 selects the First Officers' CDU. 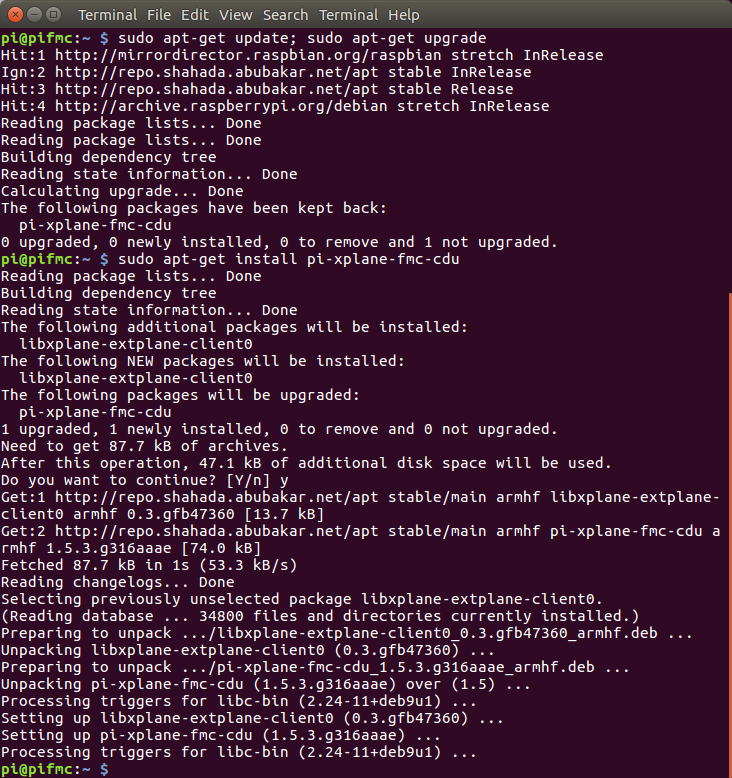 Due to the dependency on a new shared library, a "sudo apt-get update; sudo apt-get upgrade" will not upgrade the pi-xplane-fmc-cdu package in your raspberry pi. Instead you have to explicitly execute "sudo apt-get update && sudo-apt get install pi-xplane-fmc" for this round. This will allow it to install new dependent packages as well. You will need the latest bleeding-edge version of the ExtPlane Plugin. Unfortunately, the original ExtPlane project has not finalised it and made an official released yet. I will update the plugin regularly as more ExtPlane bugs are fixed, until an official new release is made. I've also made a guide on compiling the source code yourself, should you wish. I've tested this on my Linux X-Plane and also a Windows X-Plane, but YMMV. If you've built the FMC, please let me know if it works for you. I compiled ExtPlane for 64-bit X-Plane 11 only. X-FMC may appear in the display, but is not actually working yet. There are still some bugs when you exit the sim, I'll look into this for the next round. They should not affect your in-flight experience. Credit goes to XPlaneCDU developer Wayne Piekarski for shining some light on the issue. If you don't want to build your own CDU but have an Android tablet, check out XPlaneCDU.